KUWAIT: Sports cars found in a garage busted for offering to repair reckless drivers’ vehicles. 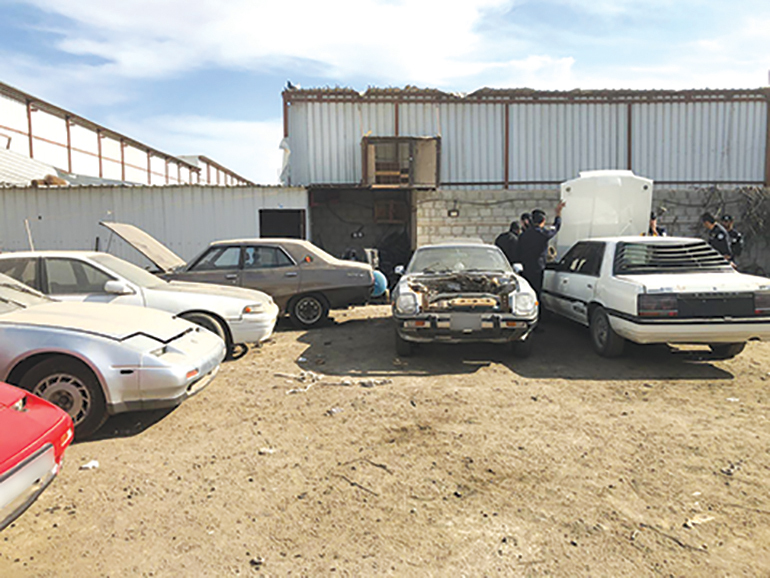 KUWAIT: Ahmadi and Jahra traffic department carried out a surprise inspection campaign in Amghara after discovering an industrial land allocated to repair sports cars was used by violators for reckless behavior. Residency violators who were repairing the cars illegally were arrested. The area was raided and 18 vehicles were found, some with Gulf plates, others forged and some without plates. A mechanic who was found without any ID was arrested. The kitchen ceiling of an apartment in Salmiya collapsed, prompting Salmiya fire station to respond. They found the cause of the accident was a cooking gas leak that led to an explosion but no fire. Firemen took out the stove and gas cylinder and secured the place. Separately, firemen from the Sulaibkhat and Farwaniya fire station fought a blaze in an Andalus house. The fire, which had started on the second floor, was put out without injuries.